Let me begin by saying that Meydad is not just a typical singer. 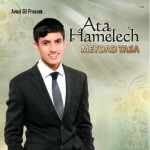 He is a serious Yeshiva Bachur and does his singing to connect to Hashem and help others to connect to Hashem. There are songs composed by Rabbi Yaakov Adas and Rabbi Yitzchok Abuchatzira. There is a candid video interview with him in Hebrew showing him in Yeshiva like a typical bachur with no airs about him. Listen to his singing style. He sings from the heart and yearns to grow and become close to Hashem. In America it’s harder to find such a type of singer because it’s not accepted for a serious Yeshiva Bachur to sing on albums and in concerts. In Eretz Yisroel among Sefardim it’s more accepted to do certain things that in a typical Yeshivishe environment is considered taboo. Also, there is so much kedusha and Avoidas hashem that if one is looking for it, he can connect to it and rise above the secular influence there. His voice has matured and is not a child anymore. So it’s his “Bucherishe bren” that shines through here. Typically a bachur has more enthusiasm and yearning to grow than a child or older person. 1) Oi No Lonu – This is a slow and hartzige tefilla to end the golus and distance from Hashem and to beseech Him to bring the geula. Then Hashem answers and tells his children to do Tshuva return to him and that he loves us. Then the Yidden commit and tell Hashem that it pains them so much that they do aveiros. Listen to it and you will hear the emotion and devotion. 2) Ata Hamelech – It’s a fast, upbeat song about Kabolas Ol Malchus Shomayim – recognizing Hashem as King and Creator of all and how one feels complete when he has a personal deep connection with Him. This is the title and sets the tone for the whole album. 3) Kol ma She’ani – The intro is quite powerful and then starts out with a quieter low part about one who’s heart is pounding to daven to Hashem that loves him and listens to his tefilla. Then it transitions to a middle part that expresses a deep prayer that Hashem should hear his tefilla emanating deep from his Neshama and it sounds like it’s building towards a powerful climax and then all of a sudden it’s a calmer upbeat declaration thathe just wants to be close to Hashem and feels safe with the knowledge that he is with Him. 4) Melech Malchei Hamelachim- a fast song talking about turning to Hashem and to never give up hope and that Hashem just wants our heart to connect. Gantz geshmak. 5) Torah Hakedosha – A hartzige slow song describing how the Torah is a tremendous gift from Hashem and a way to connect to Him. The lyrics were written by Harav Yaakov Adas Shlita and it’s a great zchus – probably a first in Jewish music. 6) Bachatunah – a fast upbeat geshmake wedding song Sefardi style. 7) Ben Adam – A hora style song and the words talking about how much Hashem loves us and that there is always hope. 8) Rachem Vinachem – A slow hartzige tefilla that Hashem should build the Bais Hamikdash and that Hashem needs us because there is no King without a nation. 9) Al Tishaber – A fast emotional song about how one should be happy even in the face of having pain. At the 2:15 mark there is a beautiful instrumental shtikel for about 25 seconds that keeps playing over and over in my head. Wow! 10) A-ufa Eshkonah – Composed by Rav Yitzchok Abuchatzira It’s an upbeat fat song talking about the yearning of a neshama to Hashem. There seems to be some deep concepts behind the words that I don’t understand, but I just get inspired by just paying attention to his emotion. To sum up, even if you are not a Sefardi, it is quite easy to be inspired and uplifted by Meydad Tasa and this album in particular.